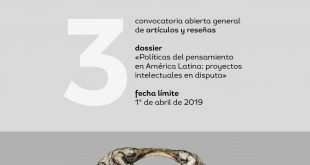 Los Grupos de Trabajo (GT) de CLACSO son redes interdisciplinarias de investigadores de distintos países de Latinoamérica y el Caribe, que se reúnen alrededor de un tema o problema social relevante para la región. Los GT trabajan para la producción de conocimiento comparado relevante y riguroso, y buscan lograr una efectiva relación entre investigadores, responsables de políticas públicas y organizaciones sociales. *Reuniones de trabajo con el fin de abrir el intercambio y favorecer el desarrollo de investigaciones y análisis en perspectiva comparada y con incidencia. 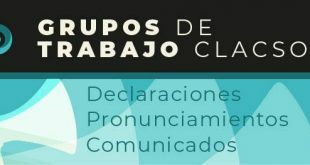 *Eventos públicos de diálogo y debate sobre las temáticas relevantes para la región en el marco de la agenda global. *Reuniones de intercambio y análisis con decisores de política pública y/o con referentes de organizaciones sociales. 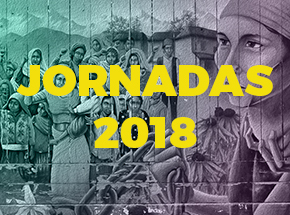 *Publicaciones con los resultados de las investigaciones desarrolladas en diversos formatos. Antes Presentación del libro “LENIN Y LAS CIENCIAS SOCIALES” Néstor Kohan (comp.) Miércoles 22/11/17 18 hs. Siguiente Seminario sobre la Revolución Rusa, “De Regreso a Octubre” – 24 y 25 de Noviembre. CABA – La Plata. Hello, Neat post. There’s a problem with your site in web explorer, might check this… IE nonetheless is the market chief and a huge component to other folks will pass over your magnificent writing because of this problem. Good post. I be taught something tougher on completely different blogs everyday. It’s going to at all times be stimulating to learn content from other writers and apply a bit of one thing from their store. I’d desire to use some with the content on my weblog whether you don’t mind. Natually I’ll provide you with a link on your web blog. Thanks for sharing. I was recommended this blog through my cousin. I am no longer positive whether this publish is written by him as nobody else recognise such targeted approximately my problem. You’re amazing! Thanks! I’ve been exploring for a little bit for any high quality articles or blog posts on this sort of area . Exploring in Yahoo I at last stumbled upon this website. Reading this info So i am happy to convey that I’ve an incredibly good uncanny feeling I discovered exactly what I needed. I most certainly will make certain to don’t forget this website and give it a glance regularly. I in addition to my friends have already been checking the best secrets from your web blog and so instantly I had a terrible feeling I never expressed respect to the blog owner for those tips. All of the guys became excited to read them and have now honestly been making the most of them. Many thanks for genuinely quite helpful and then for choosing certain superior areas most people are really desirous to learn about. My honest regret for not expressing gratitude to you earlier. F*ckin’ awesome issues here. I am very glad to see your article. Thanks so much and i am having a look ahead to contact you. Will you kindly drop me a mail? I’m extremely impressed with your writing abilities as smartly as with the format on your blog. I say to you, I definitely get annoyed at the same time as other folks think about worries that they just do not understand about.